In his ongoing series for Splash looking at how to conduct business in the People’s Republic, Charlie Du Cane, the head of Clipper (Hong Kong), today looks at unintended consequences and fortunes, which emanate from decisions made in Beijing. “Well when you think about it, we set out to create a trading company and ended up in shipping. Why? The only bit of the business that got off the ground was a couple of cheap charters. Now we own more than 100 ships! Any businessman will come across the unexpected. It’s how they respond that marks the failures out from the successes.” It struck me at the time that the musings of this venerable Asian shipowner made him and his partners uniquely suited to navigating through the business opportunities presented by Chinese government policy. Since the outset of the reform era in the 1970s, China has had at its heart the idea that one crosses the river by touching the stones. This is a poetic way of saying that the government will pragmatically and flexibly feel its way towards a better future. It is extremely important for any business to understand when engaging with China: government policy matters; government policy is changeable; and government doesn’t always know what the result will be. Indeed, it was in this tentative mood that the greatest single decision made by any government in the last century was taken. It has proven greater than Glasnost and Perestroika, greater than British privatization, and even greater than the repeal of Glass-Steagall. It has changed the world from Africa to Australia, and has been lauded for lifting 400m people out of poverty, as well as excoriated for the hollowing out of Western manufacturing. This decision, that of unleashing China’s workforce on the world, was taken not to end China’s socialist autarchy, but rather to strengthen it. Deng Xiaoping and his fellow leaders saw this as a practical measure to strengthen the country, to better pursue the socialist dream later. That dream was quietly dropped as the truly epic consequences of this decision were understood. Over the last 40 years there are countless examples of China unveiling big government policies that led to unexpected destinations, both good and bad. One of the best examples of this is the stimulus program that China launched in the wake of the 2008 financial crisis. This circa$ 600bn program was intended to stimulate the economy by rebuilding Sichuan, and encouraging the creation of more high-tech business in China. These goals were met, but the unintended consequences of this program were equally striking. In the execution of the policy, local governments and SOEs borrowed heavily, rampant speculation in commodities and construction occurred, and in certain sectors inflation became a major problem. From a business point of view this created unexpected opportunities in certain markets such as shipping and commodities. By the end of 2009 the most extraordinary bounce had occurred, fuelled by China. What this shows is that, like many things in China, central planning rarely survives its first contact with local execution. Finally, lets look at the situation in 2017. 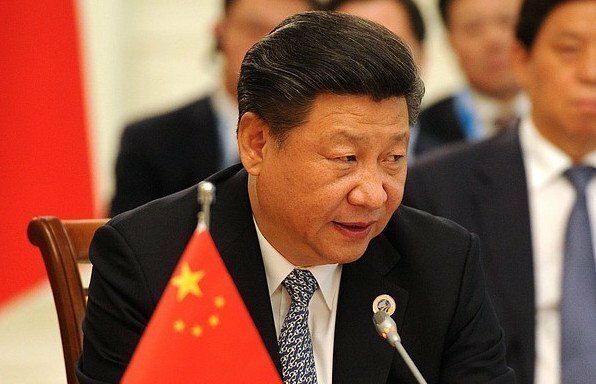 Since 2012, Xi Jinping has been searching for China’s dream. The most concrete expression of this has been the unfolding of the Belt and Road initiative. This policy which will see massive infrastructure projects across 65 countries, is intended to more closely integrate China with Asia, Africa and Europe, to help China move up the value chain in manufacturing, and to act as a platform for the internationalisation of the RMB. Is this actually what will happen? Any nimble business should be thinking about both all the above occurring but also any unintended consequences. The infrastructure implications of this policy, rather than helping deal with China’s over capacity in most heavy industries by moving them overseas, could well throw a lifeline to China’s gargantuan and over capacitated steel and cement industries. Politically the binding of China to its neighbours may do that or it may push some of them further away from China into the arms of other powers. Anyone who has been in Ho Chi Minh recently would say that is already happening. One cannot be sure – but one must keep looking for the main chance. It could be argued that no government policy anywhere ever has consequences its authors intended. However, the involvement of the Chinese government in its economic direction goes beyond that of any other major nation – so understanding this is important. When making plans to invest or expand businesses in China one must always bear this mind. A business must always understand these policies and what they mean in reality, because it is in the gap between theory and practice that opportunity lies.